Tracker Software Products :: PDF-XChange Viewer ActiveX Software Development Kit. Easy Integration. A ready-to-incorporate version of the end user product PDF-XChange Viewer with all the functionality embedded in a developer's application. Viewer ActiveX SDK is a fully featured, ready to incorporate facsimile of the End User PDF-XChange Viewer Pro, embedded within a Window of the developers application, the developer is able to hide and disable most of the controls and functions within the SDK and some GUI tailoring is possible - but Tracker Software branding is present and required from the 'About' Window of the embedded viewer. Please note - this product is made available as a simpler and cheaper alternative to the PDF-XChange Editor SDK - it is now no longer being developed and no feature additions or bug fixes are available ! If you opt to pay for extended maintenance - should you subsequently choose to upgrade to the Editor SDK you will receive a full credit in return against the purchase price of this SDK - exclusive of maintenance, so the maintenance is a form of 'upgrade' guarentee and contribution towards support for this product. Note The PDF-XChange Viewer ActiveX SDK requires that you return a completed License Distribution Agreement, included with your installation, to Tracker Software prior to being released your serial key and developer code. UI Customization (color scheme, borders, scroll bars visibility). PDF-XChange Viewer ActiveX SDK supports all Windows (32/64 bit) operating systems from Windows XP** and later. Version 2.5: Microsoft/Citrix Terminal Server compatible*. If a developer does not own any of the above SDK's, the purchase of a PDF-XChange Viewer SDK Base Pack is required prior to purchasing any Client Distribution. License packs. The PDF-XChange Viewer SDK is not a Royalty Free product as standard - however special rates may be negotiated for large Client Distribution License packs. Important : Either a PDF-XChange Viewer SDK Base Pack or one of our other PDF-XChange/PDF-Tools SDK's must be owned - prior to additional CDLP License packs being purchased. 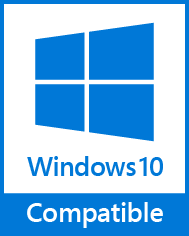 Please note our default download includes both the Viewer Active SDK and the Simple DLL SDK versions. After looking at all of the other SDK’s out there, I was on the edge of mental breakdown because I wasn’t sure we were going to find a suitable candidate for our product. 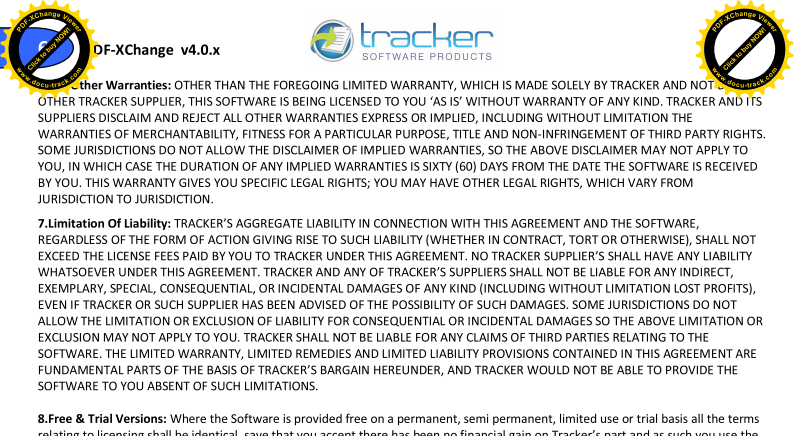 Then I found Tracker-Software which is the holy grail that my boss claimed we probably wouldn’t be able to find! I’m so pleased with your software and all the service that you have provided.